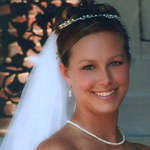 When she opens her gift on Christmas morning and sees beautiful pearls either in a necklace or bracelet or even earrings, you know you made the right choice by looking at the smile on her face. Surprise her with that special gift of pearls for her Hanukkah celebration. Let's not forget the New Year Holiday. Start the new year with a beautiful strand of pearls that she can wear all year round. This gorgeous multi-color 8-9mm genuine freshwater pearl necklace is designed using cranberry, green and navy potato shape pearls. This necklace is individually hand knotted for extra security with the finest silk thread. 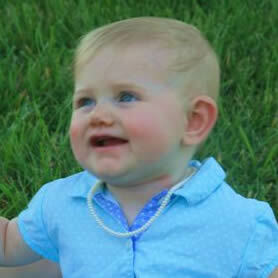 The pearls have a great luster and the pearls have a few ridges on them. The sterling silver 8x10mm malachite cabachon clasp is used for easy fastening and also has a safety catch. This necklace can be worn all year making this piece very versatile. This necklace can be custom designed to your own special length. 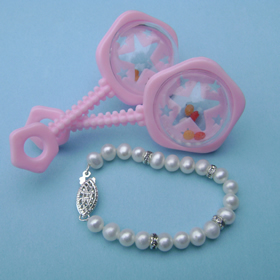 Genuine freshwater Keshi pearls are quite stunning. These multi color pearls are 4-8mm in size with a very nice luster and color depth. The colors include red, green, amber, gold, peacock and chocolate. The silver tone 10mm toggle clasp is used for easy fastening. The pearls are custom designed using the finest silk thread. 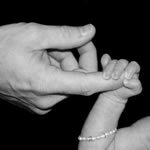 When you give her this bracelet she will be able to wear it all year round from Summer to Winter. 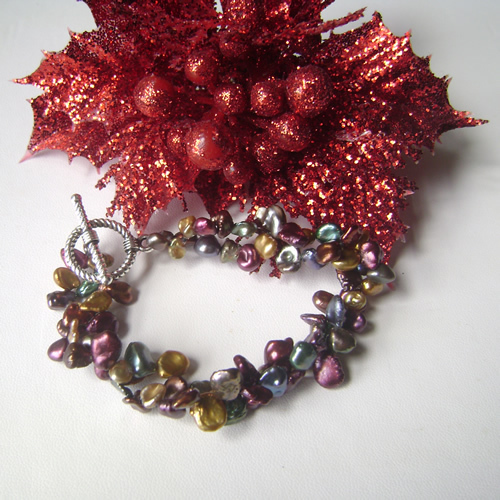 Another very versatile pearl bracelet. This bracelet can be custom designed to your own special length. This colorful twisty double bracelet is designed with 5mm assorted shapes of white genuine freshwater pearls and 9x6mm jewel tone Czech glass teardrop beads. After each white pearl a beautiful colored teardrop glass bead is placed giving this bracelet a stunning look. 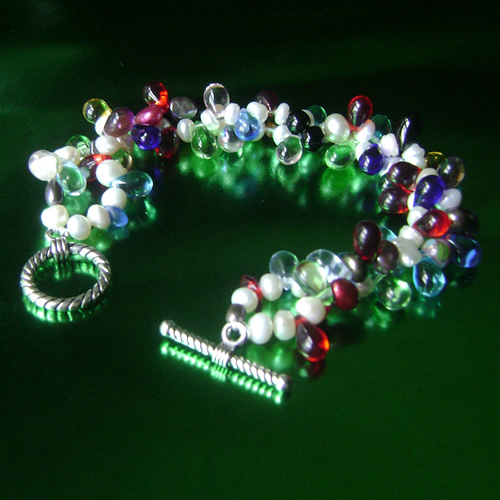 The jewel tone colors of the glass beads include red, aqua, green, blue and purple. Hand designed using the finest silk thread and with the 10mm silver tone toggle clasp for easy wear, this bracelet not only makes a fabulous Christmas gift but she can wear it all year round with all of her favorite outfits. Wow! This custom desiged necklace is fabulous. 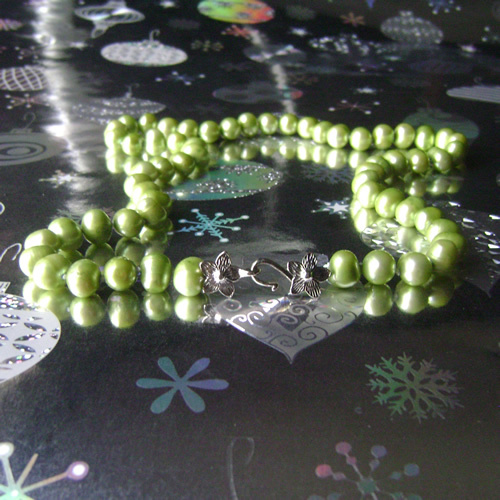 These large 9-11mm genuine freshwater potato pearls are an apple green in color. They have a beautiful luster with a few ridges on the pearls which makes them so intriguing. This necklace is individually hand knotted on silk thread for extra security and the large flower design silver tone hook and eye clasp is used for easy fastening. This color pearl looks amazing on most skin tones. Pearls make a wonderful gift for that special someone for Christmas because you can be sure she will wear them not just on special occasions or on special holidays but all year round. 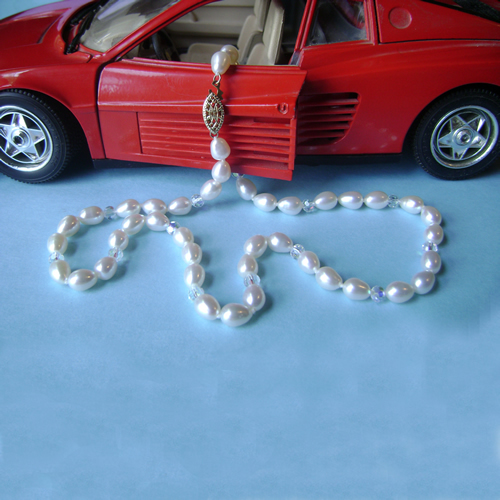 Pearls are so versatile that she will wear them with her jeans or her suits, even with her evening attire. 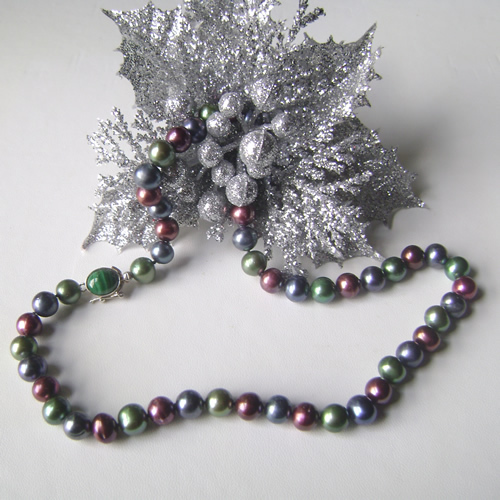 For that perfect Christmas gift remember to give a gift of Lynne's Pearls.